I've been creating jewelry since 2005. I like different styles of jewelry and I provide a variety in my inventory for my customers. 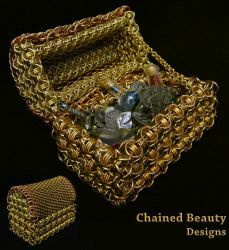 Chainmaille is a passion of mine, but I do try to "pretty it up" with different colors, beads, and pretty clasps. I adore vintage and antique jewelry. I am also a big fan of retro, so you might be able to discover a throw-back from those times. I have recently inherited an empty nest, both of my boys grew up on me and moved out into the world. 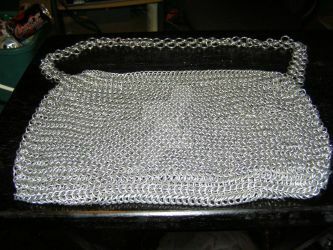 I have alot of time on my hands, therefore, my inventory will continue to grow with creations from me. I do have a day job, but I check my email and my shop throughout the day, to check my emails or if my customers request information or have questions of me. Don't hesitate to contact me, I will try to accommodate you as much as possible. Thank you for the watch -- very much appreciated.